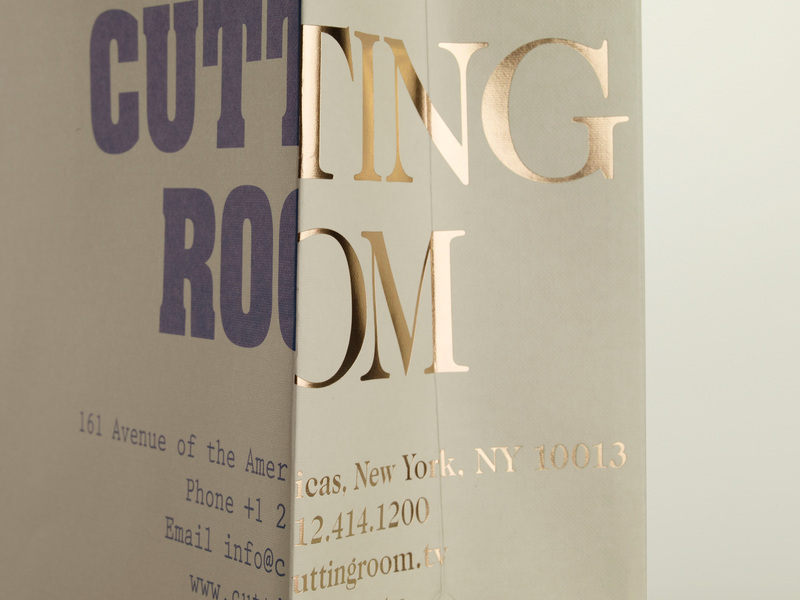 Cutting Room is creative-driven New York based editorial and post-production company that is owned and run by partners Chuck and Susan Willis. They commissioned Made Thought to design a collection of luxury carrier bags to promote the business to prospective clients at industry events. Progress were invited to produce this run of 1,000 bags on uncoated Buckram embossed paper. 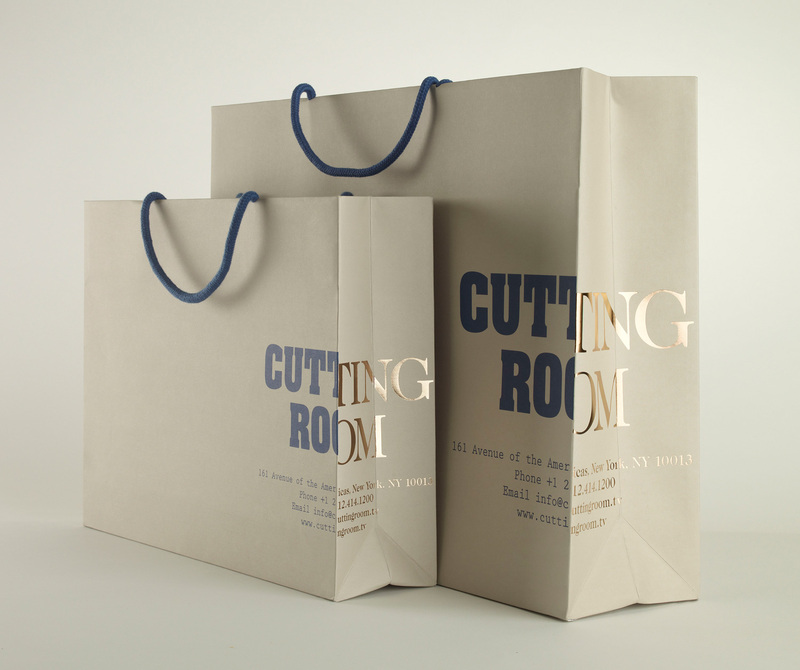 Different spot colours were used on both the inside and outside of the bag and they were finished with gold foil blocked side panels – further emphasising the ‘split design’ of the Cutting Room identity. 5mm dyed wax cord handles were attached to complement the brand colours of the bag.